I don't know about you, but for me, 2015 flew by. It's New Year's Eve and I've been reflecting on what a year it's been for me! Lots of new memories were made and I'd like to share them with you! 1. 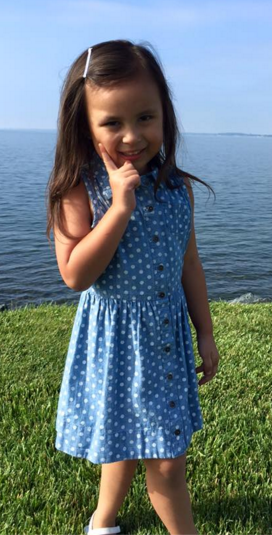 Our first born, Ava, turned 5 years old! She's just the sweetest and has grown like a weed this year! We love her more and more with each day! 2. I turned 31 and for my birthday, I went to Sweden! It was my first stamp on my passport and first trip out of the country! I had a great time. I can't wait for that second stamp to add for my next trip! 3. We attended lots of weddings this year. 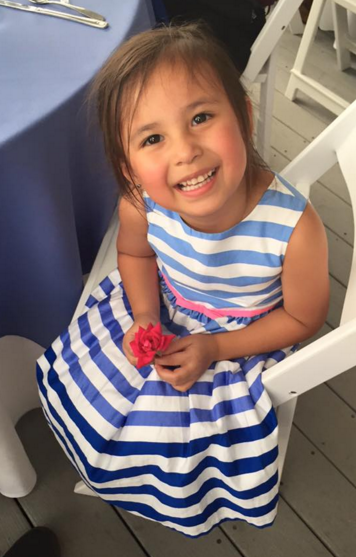 Ava was a flower girl for three weddings and Lily was for two! They had so much fun! We traveled to Annapolis, MD and Atlanta, GA for another. We attended two here at home for our neighbors (Jill & Rob) and my best friend Mandy & Daniel! Lots of love-filled memories! 4. In honor of my mom, we went up to D.C. to see the Cherry Blossom Festival. It was crazy hectic but also very beautiful. My mom would have loved it. 5. We found out we were pregnant in March and were so excited! We announced it on mother's day! On Father's day, we found out we were expecting our first little boy! 6. Ava was in her first recital. They performed a cute Mickey Mouse and birthday cake compilation. She was so cute dressed up in her costume and she did great during her performance, wasn't shy at all! We were very proud of her! 7. During the summer we made lots of trips to the pool and beach. We got together with friends and even took a small weekend trip to Amelia Island with Noah's cousins, Adam and Hannah. 8. My best friends and my sister hosted a baby shower in anticipation of our little man's arrival. He was totally spoiled! 9. Ava lost her first tooth! Actually she lost a total of three this year! 10. Lily visited the dentist for the first time. She did so much better than I would have hoped for! 11. This fall we had a blast at the pumpkin patch and trick-or-treated with friends. 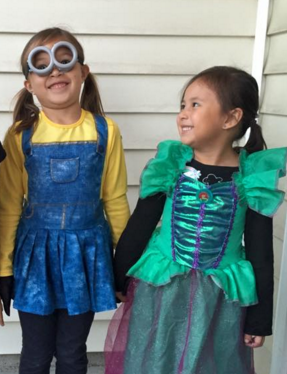 Ava was a minion gal and Lily was a disney princess. 12. 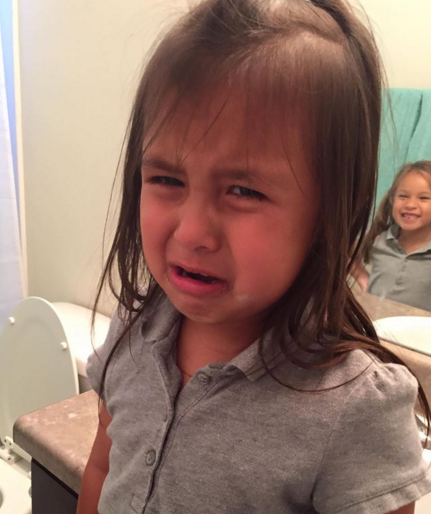 Ava entered kindergarten and Lily started pre-k! They both are flourishing at school! 13. Lily turned 4 years old! She is still a little fire cracker and cracks us up all the time. 14. For Thanksgiving Noah's family all came down or up. We had a great time with everyone here to celebrate! 15. For Christmas, we traveled to VA to spend it with friends and family. 16. I think the most significant event of 2015 was the birth of our son, Levi Everett Cruzan. We are so in love with our buddy. The girls are constantly doting on him. He's already celebrated his first Thanksgiving and Christmas. He's been on a couple first road trips too! We are looking forward to more firsts in 2016. I hope everyone has a fantastic 2016! I cant wait to see what it has in store for our family! 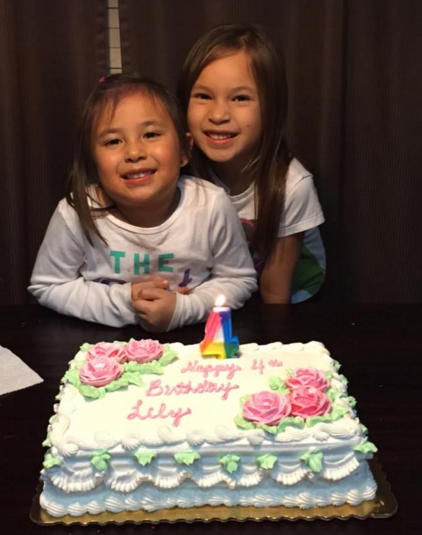 Lily turned 4 on Saturday. She is our little firecracker and she keeps us on our toes. It's so fun to see the different personalities that form with each of your children. Lily came out of the womb screaming and it was a very telling indication of what was to come. She is spunky and she is wild and we love her just the way she is. I can't wait to see what this year will be like with a 4 year old Lily. This year we just had a little get together with family to celebrate her birthday. She requested a wedding cake (Publix didn't get it though) and we ended up with a regular sheet cake lol. But Lily didn't care. 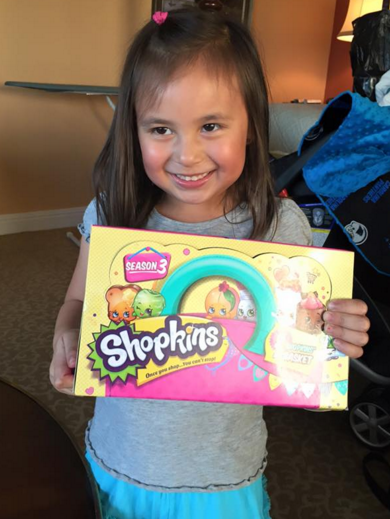 She is obsessed with these small figurines called Shopkins and has been asking for a whole box. When she opened it up she was so happy. As she was opening up the individual baskets she kept saying, "I don't believe it!" Too cute! She's still crying. If this is any indication of her teenage years this momma will not survive. I'm hoping 2016 4 year old Lily will include less crying! Lily adores her big sister. She wants to do everything with Ava. Lily loves to dress up. 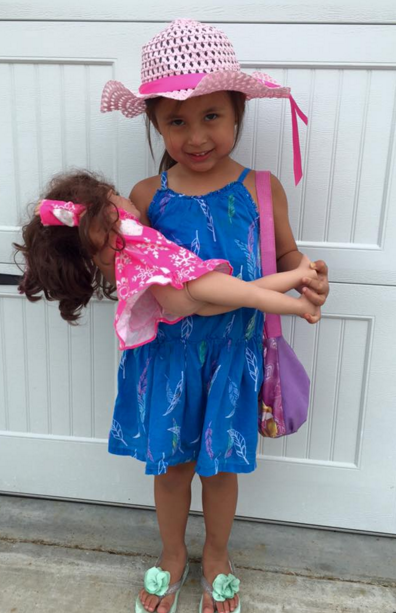 This get-up was what she wanted to wear to dinner one night. She started 3 year old pre-k this year and I've really seen her grow up. Her teacher tells us she's a great student. I cant believe my baby is 4! Pregnancy is not glamorous. Morning sickness, stretch marks, insomnia, a million trips to the bath room, back aches, etc. We moms make so many sacrifices and it starts when we start carrying our child. But pregnancy is also beautiful. 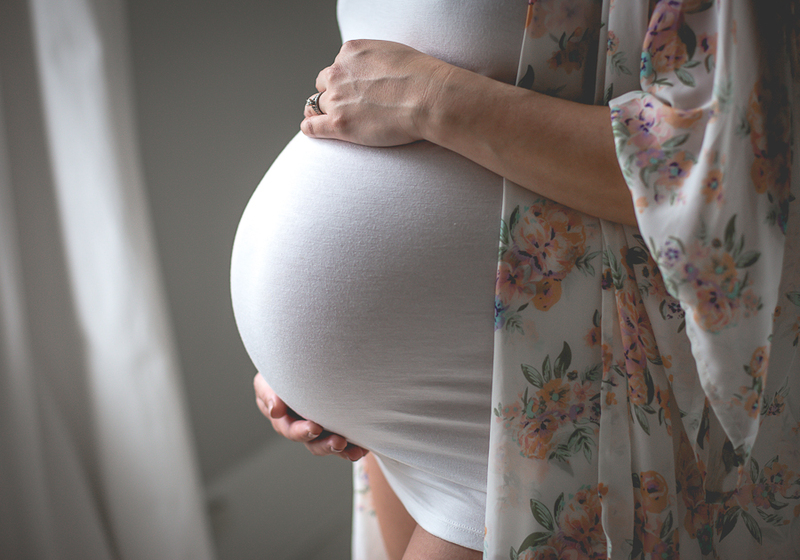 The bond formed is immediate and the I still miss hearing my baby's heart beating and feeling those precious movements inside my belly. Just knowing the miracle of growing a human being is mind-blowing. Since this was my last pregnancy, I knew I wanted to document it properly. 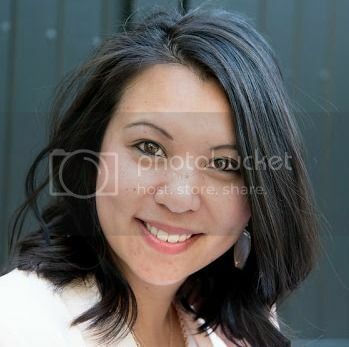 I had the pleasure of working with Dusti Stoneman of The Art of Birth Photography and I was so happy with the photographs she captured. We cut it close because I gave birth to baby Levi only one week after these were taken. It was such a great experience. It came with hair and make-up and the session was so relaxed. It was nice to be pampered because the last few weeks of pregnancy we don't feel our prettiest. I was so nervous, but Dusti made me feel completely comfortable. "Being a Mother is not about what you gave up to have a child, but what you have gained from having one." I guess Levi's birth story starts at 35 weeks. The details of that incident can be found here. My babies are infamous for abandoning the usual 40 week pregnancy plans. Since being taken off work October 26th with pre-term contractions, I was basically seeing the doctor every other day. I was prescribed procardia to help slow the contractions down because we wanted Levi to make it to at least 37 weeks where he would be considered "full-term". The meds were doing their job because with each visit my contractions were milder and my cervix was not passed 3 cm dilated. On Monday, November 9th, I made my way to the doctor's appointment. It was always 8:30 am because its the best chance of getting him. They put me on the baby monitor like they had done the last 3-4 visits. The baby was moving fine and my contractions were not doing anything to my cervix. Last they checked, I was at 3 cm. I had my to-do list of things I wanted to accomplish after the appointment. This time, he checked my cervix and I was a solid 4 cm and 90% effaced. He told me I was headed toward the hospital. I waited for Noah to get to the hospital too before I headed to Labor & Delivery. It was around 11:00 am. I changed into my gown and I was filled with nerves and excitement! I couldn't believe it was finally the day! I made it 37 weeks and 4 days. The longest of my other pregnancies. Ava came right on 37 weeks and Lily made it to 37 weeks and 2 days. A few hours went by and my contractions weren't bad at all. The doctor came in to check my cervix and then I was given my epidural, my water was broken and pitocin was added to my line. I knew right away the epidural wasn't doing much for my right side of the body. I was told it could take a few extra minutes for my other half to get numb. The nurse had me positioned in two-three different ways to advance the baby's position and get everything moving. By 5:00 I had skipped lunch and dinner and my only options were popsicles and ice chips. Yum, yum! Ava and Lily came to the hospital with Noah's mom after school. They were so excited to be meeting their little brother. It was 5:30. Numbness is wearing off completely by this point, but I'm able to still smile and talk through them. Around 6:30 I could feel the contractions strongly and I was now unable to talk through them at 2 minutes apart. I was barely able to call the nurse and she has the anesthesiologist come check my epi line. It looked fine to him so he pumped me up with some stronger meds. (P.S. make sure a student does not learn on you). They would work for about 30 minutes and then nothing. I was in tears and breathing heavily at this point. The nurse checked my cervix and I had dilated from 5 to 7 cm in hour. I could not take the pain. You see, with Ava and Lily I didn't feel any pain. So this sharp pain every 2 minutes and major pressure was NOT fun. I was getting scared I may have to do this without meds and that freaked me out. The nurse said they would come in to replace my epidural. That was at 7:00 pm and I was at 8 cm dilated. The anesthesiologist was quick with it. Suddenly I had stopped shivering and crying uncontrollably and the doctor appeared. He checked me at 7:30 and it was go-time! Thank the Lord the epidural kicked in just in time. Delivery was easy after that. I made it through three more contractions and 9 pushes before baby Levi arrived! Levi Everett Cruzan was brought into this world at 7:57 pm weighing 7 lbs., 7 oz. and 20.5 inches long. He didn't cry at all coming out. He opened his eyes right away and was taking his new world in. He was perfect in every way. The girls, my sister, and my mother in law made their way from the waiting room back to our room. The look on the girls' faces was priceless. My sister has a video of them meeting their brother for the first time! It was too sweet. Our new family of five! We are in love! We have been adjusting since getting discharged. I am breastfeeding for the first time and that comes with many surprises and challenges. It's a lot of work but I am determined to stick with it. I am pretty much a walking mombie but loving this new dynamic. Noah has been great with the girls and helping in so many ways. Friends and family have stopped by and meals have been delivered. I am overwhelmed by it all and could not feel more blessed and loved. Is it too early to start a Christmas list? I've been creating a list of things I want to buy for my family and friends and I've come upon some things I'd like for Christmas too. I'm hoping while I'm on maternity leave I'll be able to do most of my shopping online. But there are a few things I like to pick up like stocking stuffers that I'll be bringing my new shopping buddy with me to do! What do you like in your stocking? What's on your Christmas wishlist this year? 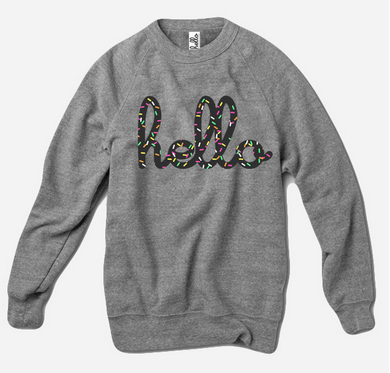 I have another sweatshirt from Hello Apparel that I love and this sprinkles design is so cute! 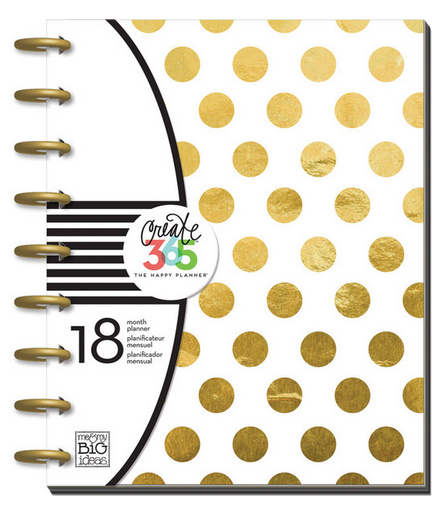 I'm a huge planner girl so I have been looking for a fun planner to keep me organized for 2016! 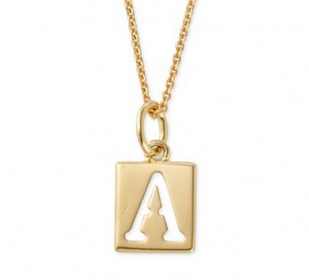 I need an "L" charm to add to my necklace. I have an A and an L already. Gotta add sweet baby Levi to the crew! 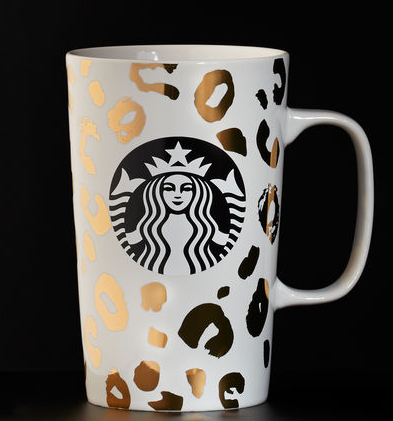 Leopard and gold? Duh, I need this! I lost my iPod last year and I've been listening to the same Taylor Swift cd for that long. I need another device to get my songs back! I want to add the new Adele album! 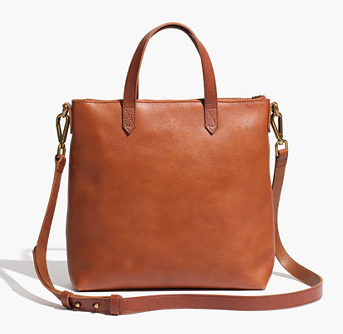 I think this tote is a classic. It can double as a diaper bag too! 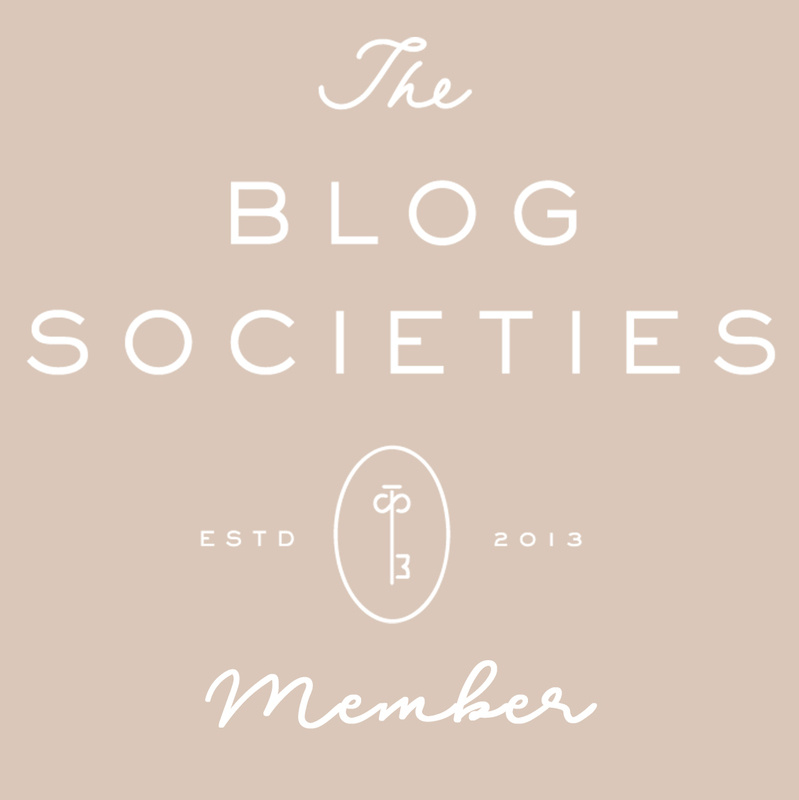 I would of course want it monogrammed as well! 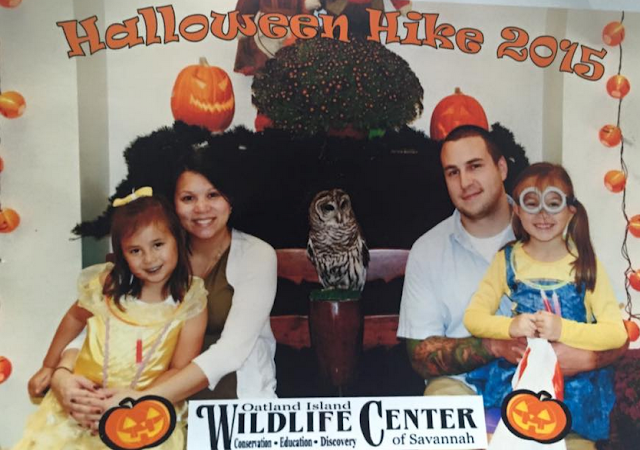 I'm not sure if it's all the walking I did on Saturday on our Halloween Hike or if Baby Levi wants to follow in his sisters' footsteps, but I definitely was feeling funky on Sunday. We went over to my sister's house to eat dinner and watch Noah's football team and I was feeling contractions. I have felt my belly get tight but it has either been from the baby moving around and it has never lasted as long. I started to time them and they were pretty close together, about 4-7 minutes apart. Ha, in true Noah fashion, we waited until halftime and decided we may need to visit the ER. We dropped the girls off with Mimi and headed to the hospital around 11:00. They hooked my up to the monitor and the nurse checked my cervix for dilation. I was indeed having contractions and I was 2 cm dilated. The baby's heart rate was good so at least I knew he was doing okay. He was also moving more than I have ever felt in one evening. After being monitored for another 20 minutes the nurse came in and told me the on-call doctor wanted me to get a shot of terbutaline to halt the contractions. She checked my cervix again and since my cervix had not dilated anymore, we were allowed to go home. I called my doctor first thing this morning and he also checked to see if anything had progressed. I was hooked to the monitor again and it was showing I was having contractions but about 10 minutes apart. I dilated 3 cm and was instructed to be on bedrest. So this baby has his own plans I guess. Ideally, we want to keep him from arriving for at least another week or two. I was prescribed another anti-contraction med and hopefully it will slow my labor down some. I see the doctor again tomorrow and hopefully things remain unchanged. The doctor said that if I am any more dilated he will admit me. I'm having a bit of deja vu because the same thing happened with Ava. She ended up coming at 37 weeks. Lily did too, actually, at 37 weeks and 2 days. I guess Levi wants to do the same thing. So now it's just a waiting game. We will take it one day at a time and as long as the baby is healthy and moving I'll be okay. Stay tuned for more! Maybe by next post baby Levi will be here! 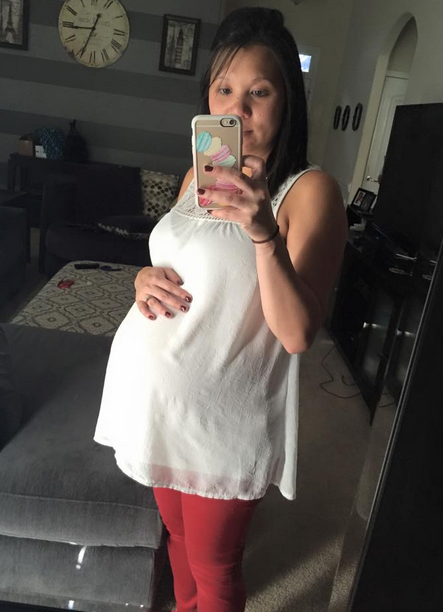 I have reached 35 weeks! That means we could be meeting baby Levi anytime in the next 36 days! I had both my girls at 37 weeks so I am expecting him to be here in the next two weeks! Of course, he is in charge so we shall see! 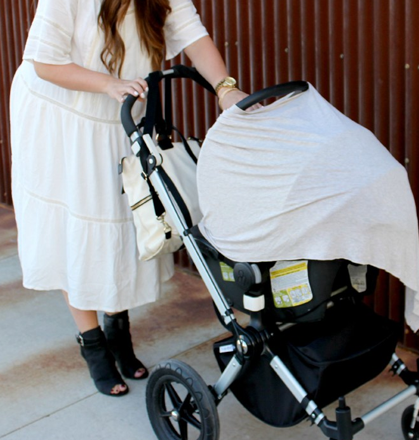 Today I wanted to share with you some baby items I think are either essential or just cool for getting ready for baby! Since having a baby three years ago so much has changed in terms of what is offered out there so it's been pretty fun to pick up a few new things! 1. I wanted a new stroller. We purchased a travel system that I used for both Ava and Lily but this time I wanted a lighter stroller that I could potentially jog with. 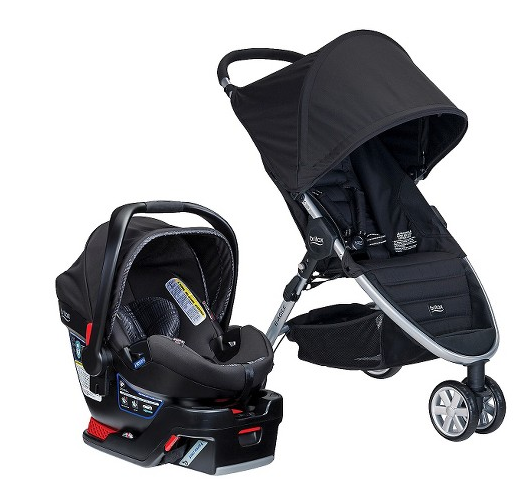 I love how light weight this stroller from Britax is and we also ended up replacing our car seats too. 2. Lalabu Soothe Shirt: I just love this idea of this versatile top doubles as a baby pouch to carry your newborn. There is also a built in nursing bra for easy breastfeeding. I'm so excited to use my Soothe Shirt! 3. Owlet Baby Vitals Monitor: This smart sock is going to change my life! I am already an over protective mommy but it will allow you to relax knowing your baby is sleeping peacefully. The smart sock uses the same technology that hospitals use to monitor baby's vitals (heart rate and oxygen levels). It is smartphone compatible and will alert you when either levels are low. You have to watch the video and you'll understand how much you need this! Who wouldn't want that extra peace of mind? 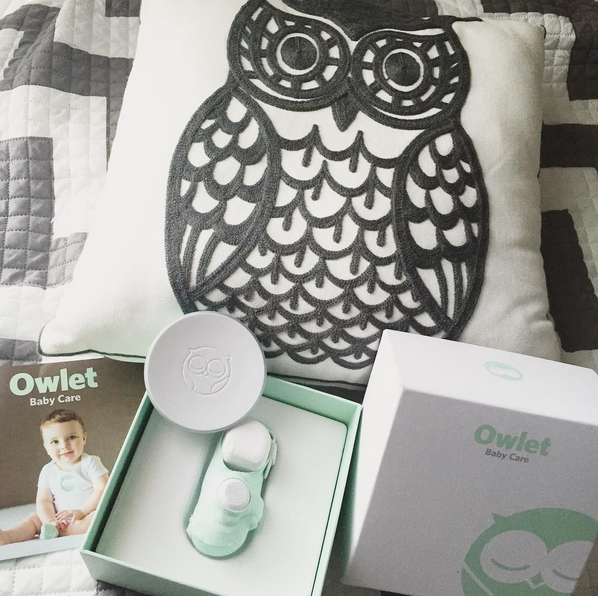 And below is a special link for $20 off the Owlet Monitor. 4. Cover Me Ponchos: This simple concept of making a nursing cover that also has so many other uses is genius! 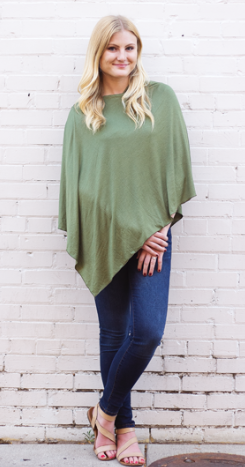 Not only does this super soft poncho provide full coverage so you can breastfeed discreetly in public, but it can be used as a swaddling blanket, grocery cart seat, car seat cover, scarf, and top! It is totally worth every penny! 5. 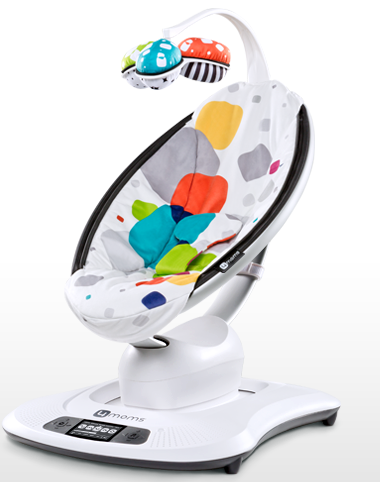 4moms mamaRoo: I'm so excited about this one-of-a-kind swing. This swing moves likes you do. There are five unique movements to choose from and has four built-in sounds. You can even connect your MP3 device. If you have not checked out the video for this you should!